The tape recorder began running in 1984, as Addie Baum, in response to her granddaughter’s request, started to tell of her life. 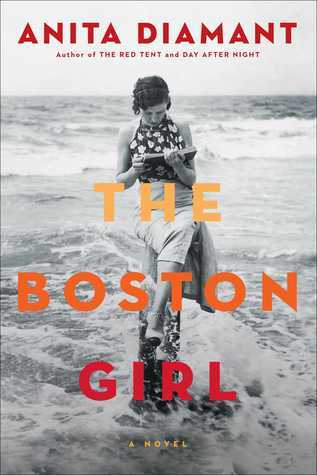 The story begins in 1915 when she was 15, with the family of four living in one room in the North End of Boston. She was born to Jewish Russian immigrant parents, with a hard-working father and a mother who was suspicious of all things American. Addie was the only one of the children who was allowed to go to high school, and go to the library, and read whatever she wanted. That’s where she started to be her own person. As Addie’s story unfolds, so does the 20th century: the influenza epidemic of 1918, women’s suffrage, the Roaring 20’s, the Great Depression. Addie lives with it all. The book has great historical detail and captures the hard, grinding life of immigrants. It is full of strong women who help one another overcome problems and prejudices. I began to feel that Addie was real and almost forgot that I wasn’t reading a memoir. It’s a quick, easy read, warm and comforting. This entry was posted in adult, highly recommend, historical fiction, Uncategorized. Bookmark the permalink.